Every component of the LCD-2 is precision engineered with one goal in mind: Recreate the sound exactly like the artist intended. LCD-2 combines leading edge technology and development with knowledge, feedback and suggestions from an on-going dialogue with Sound Engineers and Audiophiles. Like all Audeze headphones the LCD-2 is equipped with Fazor technology and is sensitive enough to be driven directly by portable players like iPods, iPhones, and the better smartphones. 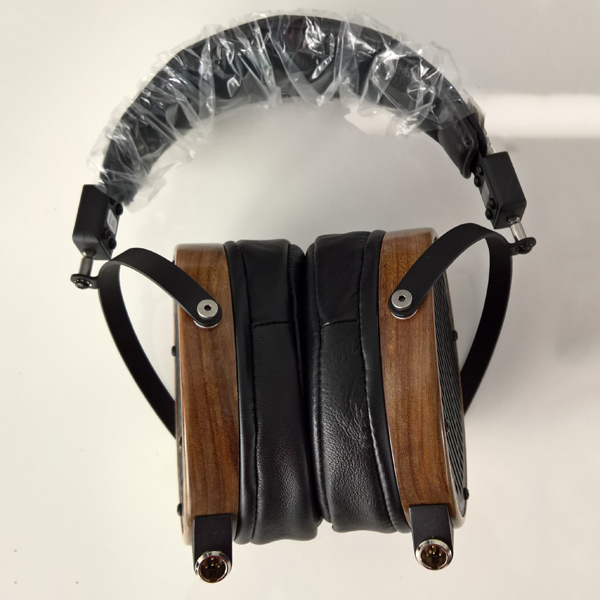 The ear cups of the LCD-2 are made from environmentally sustainable bamboo Wood Composite. The sloped ear pads are dual purpose and are designed for aesthetics and functionality. Available in soft lambskin leather, the ear pads have been handcrafted to look great and offer the right amount of firmness for a comfortable fit that provides the proper amount of isolation and seal. Additionally, the sloped design provides a more stable fit while positioning the driver more directly towards your ear to ensure correct imaging and sound signature.